The interior of the “new Milano Café” at 406 N. Main St., Lima. 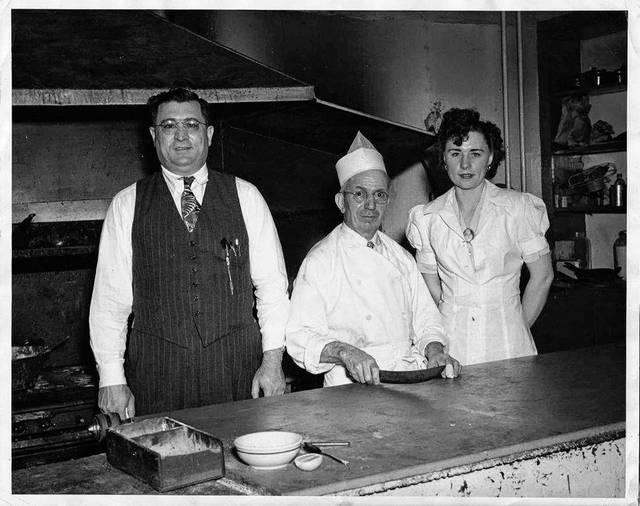 Frank Guagenti, Ettore “Chef Boyardee” Boiardi and longtime employee Goldie Rundio pose for a photo in Milano’s North Main Street location in an unknown year. The exterior of the Milano Club at 415 W. Market St., photographed in an unknown year. The Milano Club, photographed in the early 1960s. The building was the former Lima Club. 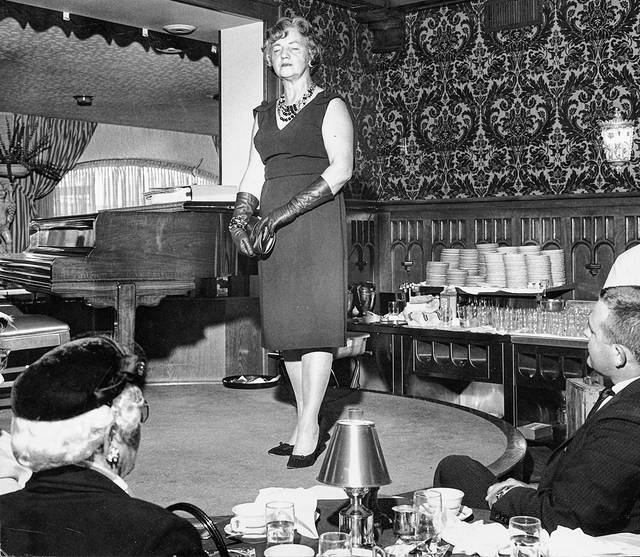 A model, name unknown, presents fashions in a style show at the piano bar in 1961. This ad dates from 1933. 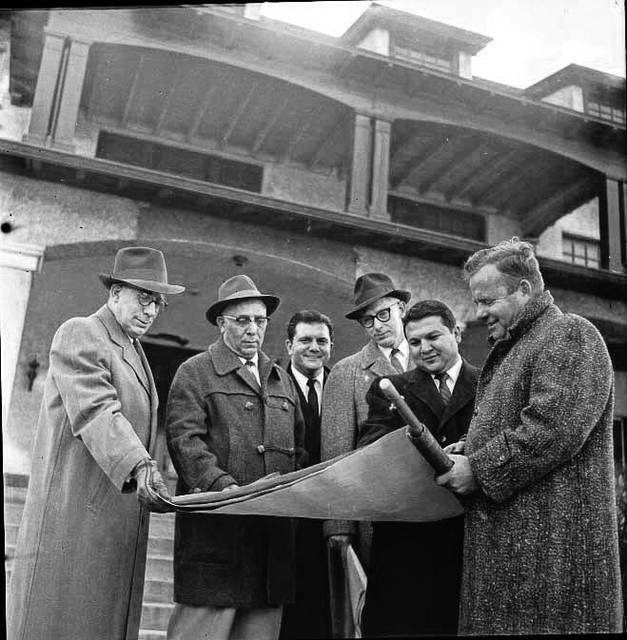 From left: Joe Ventura (general manager of club), Frank Guagenti (co-owner), Joe Guagenti (co-owner), Robert Helser (architect), Don Guagenti (co-owner) and Raymond Campnell (general contractor) view club plans for new restaurant/lounge to be opened in the Lima Club building. This ad was published in 1935 and announced the North Main Street location. LIMA — It had been just about 37 years since the day in November 1960 when the Milano Club, with its Italian marble statues and Florentine mirrors, held its grand opening — and just about one year since the day in July 1996 when the whole thing burned down. Many were there to buy a piece of history while others were there just to remember the place where they met and ate and maybe danced to the music of Stan Kenton or Count Basie or countless other entertainers. “I hope that some people are buying things just to have a part of Milano’s — a part of Lima history,” said Frank Guagenti, a grandson of one of the restaurant’s founders. Milano’s had been a part of Lima’s history for more than six decades by 1997, although the original Milano’s was a grittier affair than the version destroyed in the spectacular 1997 fire. The restaurant was first opened in 1932 by brothers Joe and Frank Guagenti as a four-seat diner in the 100 block of East Wayne Street. It didn’t stay there long. Over the years, the North Main Street location would add new dining rooms and a wine and delicatessen store just to the south of the main restaurant. 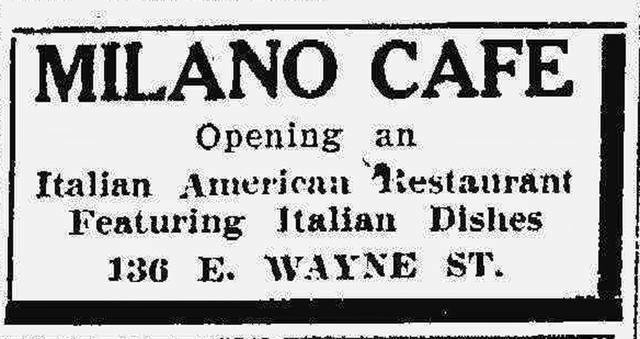 In 1952, the Milano’s distinctive logo with the “M” turned into a chef made its first appearance in a newspaper ad for a Sunday smorgasbord. Two years later, the front of the restaurant received a facelift, with glass blocks and red bricks forming the new front. 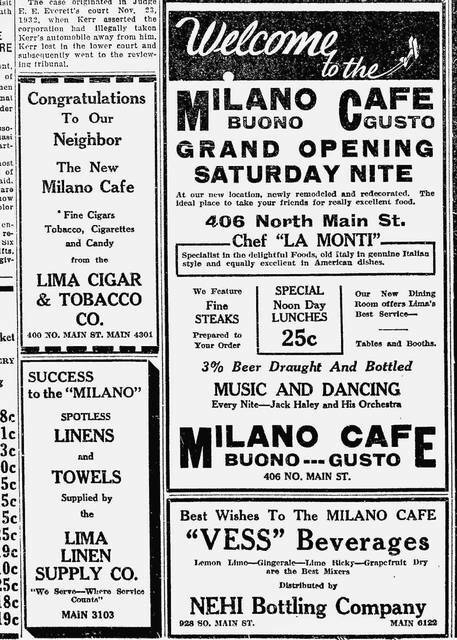 Inside, the Milano Café, operated by Frank Guagenti and his sons, Joe and Donnie, offered entertainment. In 1948, diners were entertained by “Fran Primo, Piano Queen of New Orleans,” while 1949 saw appearances by “Karl Kroske, King of the Keyboard.” Kroske would be a staple at the Milano Café into the 1960s. In 1957, the Guagentis purchased the old Lima Club at 415 W. Market St., and began renting it out for private parties, company dinners, wedding receptions, luncheon groups, banquets and sales meetings. The Lima Club had already really been something by the time the Guagentis bought it. Lima clothing merchant Levi Jacobs obtained the property about 1861. Five years later it passed into the hands of Lima’s leading 19th century entrepreneur Benjamin Faurot, finder of oil, founder of an opera house and namesake of parks, a street and, once, an elementary school. Faurot, however, suffered financial setbacks in the 1890s and the family was forced to relinquish the property after his death in 1904. It then passed into the hands of Richard W. Argue, an oil producer and director of the Lima Trust Co., who remodeled the property before moving in about 1906, and moving out around 1910 for a new home in California. The property was then purchased by the Lima Club, whose purpose was to promote social relationships and the best interests of Lima. Under the Lima Club the building was redesigned. During the Depression, the Lima Club was forced to move to new quarters in the basement of the Argonne Hotel while the Lima College moved into the old Lima Club building. 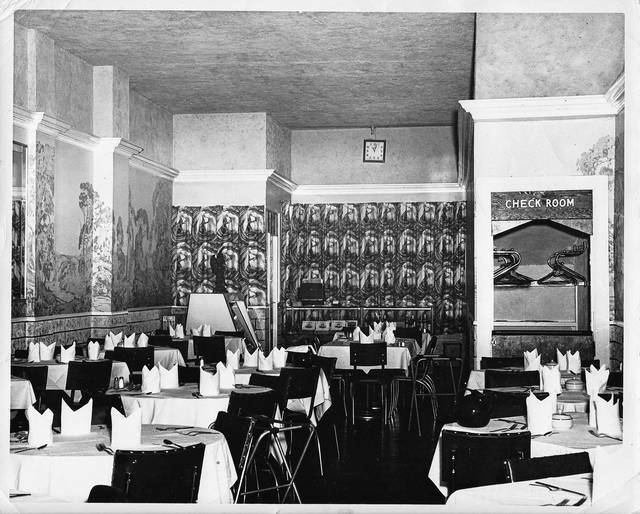 In later years it would house radio station WBLY, an antique store and a furniture store before returning to Lima Club ownership in 1948, with the building again being revamped to include a grill room with kitchen, lounge, card and conference rooms, and a dance hall. 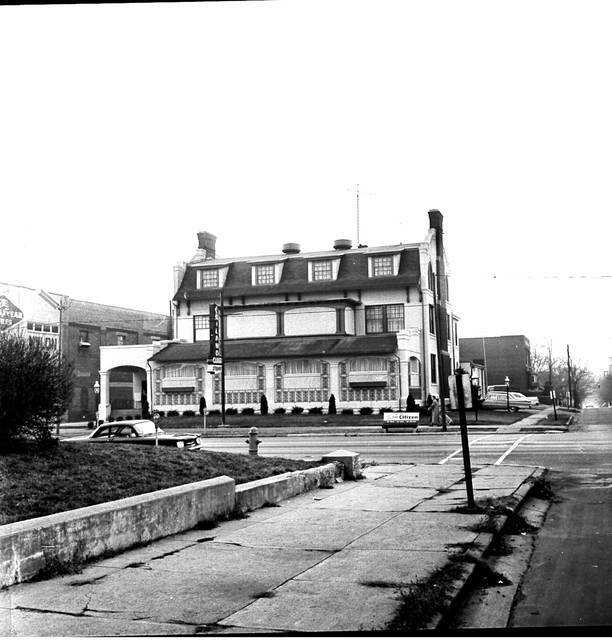 In 1957, it was sold to the Guagentis, who opened the Milano Club in the building in November 1960, about three months after a fire in mid-August 1960 caused about $15,000 damage to the old Milano Café on North Main Street. That building would quickly be repaired and reopened as Tomasi’s Villa. Over the years, the restaurant would undergo more renovations and expansions, notably two stories added to the north side of the restaurant, and become a favorite Lima gathering spot. At one time, it had 20,000 square feet of dining space. 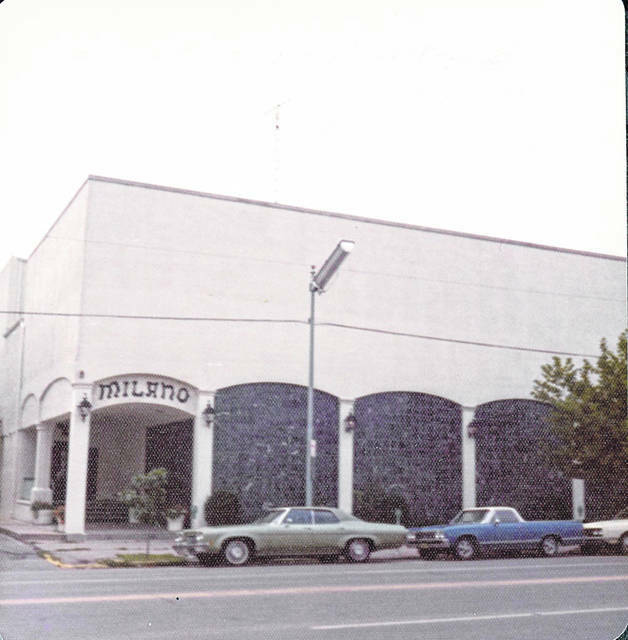 During the Milano Club’s grand opening in November 1960, patrons were entertained by Tony Pastor and his sons Guy and Tony Jr. During the 1960s and ‘70s acts as varied as Henny Youngman, “the King of One Liners,” and band leaders Harry James and Guy Lombardo appeared at the Milano Club. Then, around 4 p.m. July 29, 1996, a busboy arriving for work smelled smoke on the third floor. About four hours after the discovery, the Milano Club was a smoldering wreck. In late December 1997, the remains of the Milano Club were razed. In May 2002, the Milano Café was reborn at 2383 Elida Road, which had been the site of Tudor’s, another restaurant owned by the family.